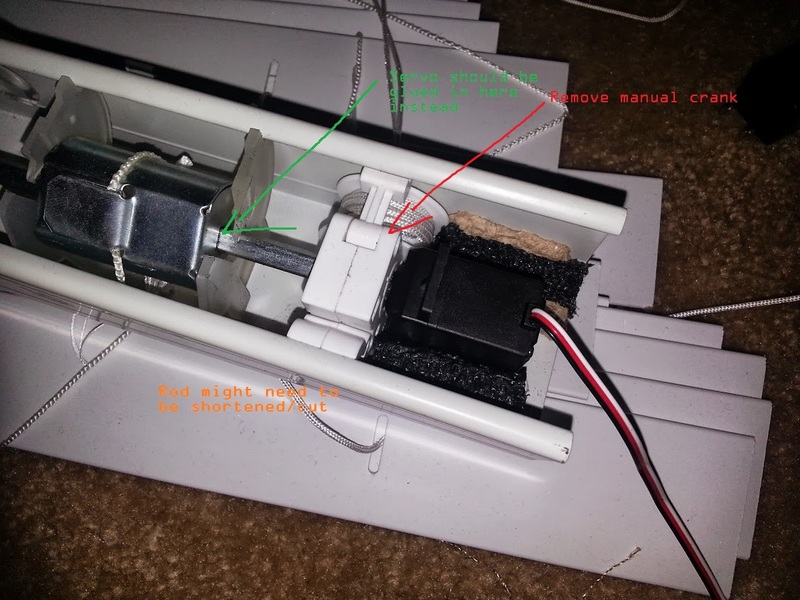 If you glue the servo into the hole of the square rod, then you are killing automatically the manual override of the blind control. On top of this you have melted the servo with the tilt mechanism so if the servo fails you have to order a new servo and a new tilt mechanism. I would not consider this a solution. I am still looking for a servo with an adapter to attach to a square rod with no success so far. Kind of but not really. I removed the manual crank box in the first place so that is what kills the manual override. You can still control the blinds manually by just pulling on one of the slat strings. Servos gearing is pretty weak so it doesn’t prevent this. If you really wanted to you could rig up a proper manual control with a draw string. You may not consider this a solution but you also haven’t done it. I think you’re making a bigger deal out of this than what it is. Using hot glue was an excellent and quick/easy solution. The servo isn’t melted so I dont know what you’re trying to say here. It’s hot glue, it’s not like it’s krazy glue. Hot glue is pretty weak, you can just remove the servo from the blinds with basically zero effort. Hot glue works very effectively for this application. I wouldn’t consider doing anything other than that if I were to do the project again. It sounds to me like you’d be happier to buy a window blind automation retrofit kit. I prefer DIY because it’s effective and a lot less expensive. And it’s fun. Lastly, for the millionth time to you an others, I do not attach the servo spline to the rod at all. I attach it to one of the three spools.